Look4 Optics makes the electronic data interchange between opticians and suppliers very easy. Browse product catalogs and order directly from your optician software and here on LOOK4Optics.de. 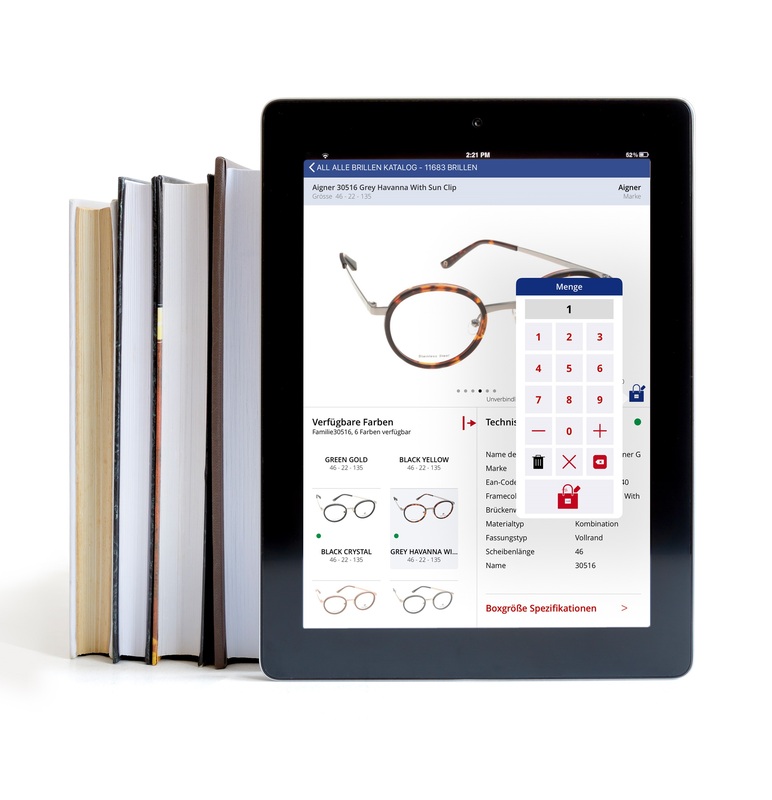 Based on XML catalogues LOOK4 Company developed a App for iPad to be used in the optician shop. The new app provide the optician a bundle of advantages: “smart presentation, detailed information and advice of the customers, easy and quick order of frames, sunglasses, spare parts and merchandise directly from the app. Catalog not found ? » Click here to search for the supplier and ask him directly to provide his catalog via LOOK4Optics. Following software providers already work with LOOK4Optics.